Awesome Quest Mysteries, 9781946650047, 192pp. 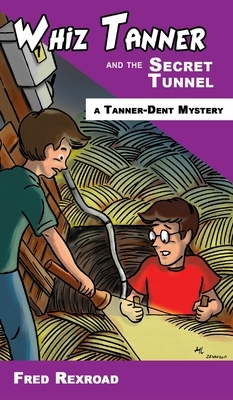 While working to settle a school-yard bet on the existence of a DeLorean automobile in Farmer Zimmer's barn, Tanner-Dent Detectives, Agents M and K, find more than an old car. A simple excursion to find out what's going on, leads our heroes into the middle of a robbery--of a Top-Secret nature. Whiz and Joey conjure up more trouble than they've ever encountered and get some once in a lifetime experiences as a reward.